cell phone: +52 55 16 44 79 535. He studied film directing at CUEC-­UNAM (Mexico), and at the CSC (Rome). He was alumni at the Berlinale Talent Campus. He is writer and director of 8 short films, also co­founder of Agrupación Caramelo Cine., where he is the executive producer of Dark Fire (in production). Mara ́akames Dream is his first feature Film as a director. He is writing his second film at the Cinefondation's Residence. “Roots” (Raíces) (short, documentary) (official selection Guadalajara Film Fest. I will portray the journey that the French poet, actor and playwright Antonin Artaud accomplished in the sierra Tarahumara during the 1930 ́s. It will be a “fantastic biography”, a cinematographic essay that will serve as an homage. The tale is divided in two parts. The first will be told from the point of view of a young indian named Rayanari, whose life is transformed as he meets the strange visitor. In the second part we will examine Artaud ́s insanity process, as he is rescued by Rayenari through the magic of a tarahumara ritual. In 1936, at the sierra Tarahumara in Mexico, Rayenari is a young indian who is in his way to become a shaman. His life suddenly changes when he meets a strange poet named Antonin, who comes from a very distant land. At first the community feels threatened by the foreigner, but he slowly gains people’s trust. Antonin confesses to Rayenari that the purpose of his trip to Mexico is to heal his Soul. He participates in a ritual taking a sacred cactus and exorcizing his demons. When Antonin leaves the mountains, Rayenari starts having a lot of nightmares regarding his friend. With the help of a shaman, Rayenari can perceive that in France, Antonin is recruited in apsychiatric hospital, being coursed by dark sorcerers who perform electroshocks on him. Trough a shamanic process Rayenari visits Antonin in his cell, and with the magic of poetry helps him toescape in the only possible way: Death. The narrative starts in color with a contemplative mood at the Mexican mountains in the first part of the film. In the second part, Antonin ́s mental crisis will be represented with a narrative structural rupture, using elements from surreal art and from the silent B&W pictures in which Artaud was involved as an actor. To find an international co­producer (France, others). As a producer the author director is co­founder of Agrupación Caramelo Cinematográfica where he has two projects as a producer, The beginning of time directed by Bernardo Arellano (associated producer) and Dark Fire (executive producer) this film is actually in production. GRUPACIÓN CARAMELO CINEMATOGRÁFICA it’s a young company founded in Mexico City dedicated to produce Films of new talented directors. Between day and night and The beggining of time directed by Bernardo Arellano have been awarded in many Film Fests. Mara’akame’s dream is the first Film by Federico Cecchetti. 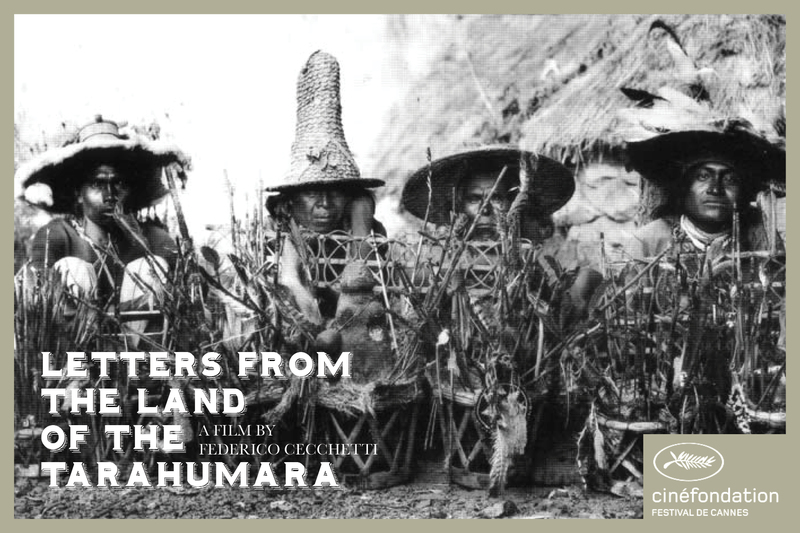 Our next projects are Dark Fire andLetters from the Land of the Tarahumara.